So, I ended the last post saying that I would keep moving forward. Here’s what’s happening. I got to day work next week. I’ve been working evenings since the beginning of May, and there’s some upside there. Namely getting to see more of Supportive Partner Woman (Sportschick extraordinaire!) and not having to worry about appointment scheduling. The downside is that you miss out on a lot of stuff in the evening and it also really messes with my natural circadian rhythm. I’m also looking forward to the change in that it gives me more opportunity to cook fish. I love fish, but my co-workers aren’t exactly enthralled when you heat it up in the microwave. Even a plank roasted salmon that primarily smells like wood smoke brings out the great wailing and gnashing of teeth. The challenge, though, will be to not succumb to boredom eating. I’ll either need a second job or some kind of hobby to keep me busy. Sadly, the hobby can’t just be building Legos. That gets to be somewhat expensive. Speaking of Lego, my most recent project was the B-Wing starfighter from the Star Wars Ultimate Collectors Series. 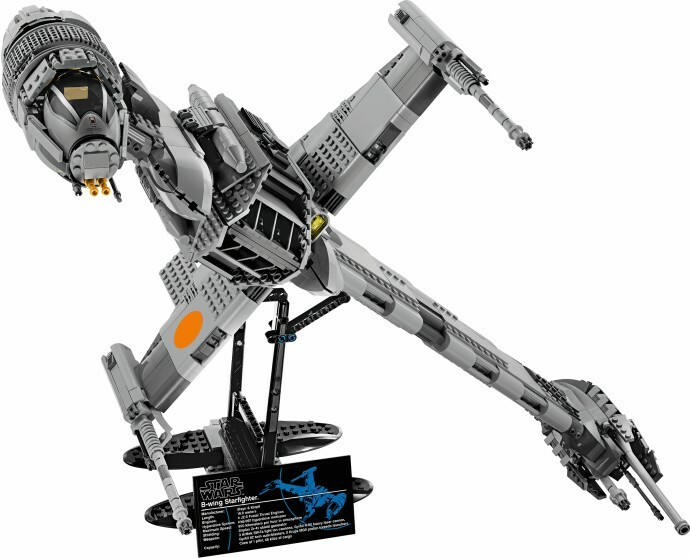 I love the UCS sets… they are usually a more challenging build with lots of pieces and the attention to detail is astounding. They also come with a handy display stand and aren’t plagued with tons of stickers like other lower-end sets. This marks my third UCS set, and while not as challenging as the Imperial shuttle, it still took me a few days to get it together. One of my main projects will be to adapt to meal planning. All too often, I’m throwing something together with what I have on hand, rather than having what I would really like to have. This will hopefully eliminate the discovery of four year old shrimp in the freezer. I also have to adjust my workout schedule. My two sanctioned workouts this week are going to be at 7 AM, followed by full shifts. We will see how that winds up going. If it doesn’t fly too well, I can always go after work. I can also walk the neighborhood after work as the temperatures have cooled considerably. It was tough to do in mid afternoon when temperatures and humidity hovered around “boiling”. All I can promise is that I’ll be making changes. Whether they work remains to be seen. Hopefully it will get the scale moving in the right direction. I love LEGO Star Wars. The B-Wing is awesome!